Ayan Mukerji directorial ‘Brahmastra‘is one of the most awaited film of 2019, all thanks to Ranbir Kapoor and Alia Bhatt. Yes, the real-life lovers are sharing screen space for the first time in the first part of the trilogy and fans are eager to watch their onscreen chemistry. We now have the director sharing a rare picture of the much-loved Jodi on his Instagram profile and we love it. Ayan Mukerji who has recently debuted on Instagram has been sharing some amazing pictures from his ‘Brahmastra’ diaries. This is perhaps one of the best that he has shared. The picture is from the initial days of ‘Brahmastra’ shoot and showcases Alia and Ranbir brooding intently over something important. The duo truly look stunning in the pic shared by Ayan. The makers had recently unveiled the logo of the movie at the Kumbh Mela in Prayagraj where the entire team had flown for the event. ‘Brahmastra’ also features Amitabh Bachchan and Mouni Roy in pivotal roles. The movie will be released on 20 December 2019. 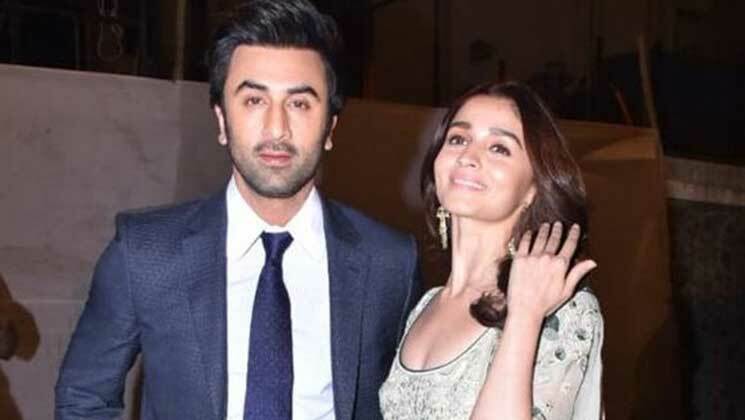 Speaking about Ranbir Kapoor and Alia Bhatt’ relationship rumours abound that the couple is ready to take their relationship to a new level. The duo had fallen in love during the making of Brahmastra and had stepped out together as a couple at Sonam Kapoor‘s wedding. On the work front, Alia has her kitty full with movies like ‘Brahmastra’ with Ranbir Kapoor, ‘Kalank’ with Varun Dhawan, ‘Takht’ with Ranveer Singh, ‘Inshallah’ with Salman Khan and ‘RRR’ with South star Ram Charan. Ranbir Kapoor after Brahmastra has ‘Shamshera’ with Sanjay Dutt and an action dhamaka with Ajay Devgn.